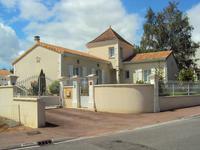 This house is ideally situated on the outskirts of the town of Roumazieres, with all its . 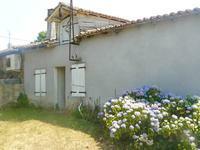 . .
Modern house in a rural hamlet just 10 minutes from the market town of Roumazieres Loubert . . .
Large barn and garage, both in good condition. Just behind the barn is a second, older house, . . . The property is ideally set in the centre of a lovely village and boasts fantastic views . . . Beautifully designed and built property with garage space for 6 cars. Covered heated inground . . . 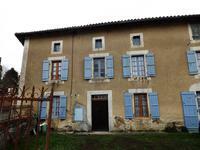 Built in 2008, this house with swimming pool in the town of Roumaziere-Loubert is spacious . . .
5 bedroom village house to renovate with ex-furniture shop. Barn & large garden. Walking distance to bar/ restaurant & shops. 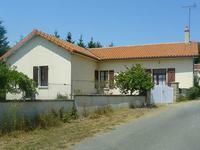 On the main N141 route in Roumazières and 10km from Chabanais, this property is perfectly . . .
A very special chateau logis which has been and continues to be extensively and lovingly . . .
A large plot of land with historic ruin bordering, but raised well above, a pretty river, with full planning permission. Only a couple of minutes from the shops but surrounded by woodland and bordering a pretty . . . Located in a hamlet just outside the village. Many original features - stone walls and wooden . . . 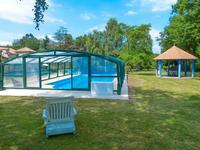 Situated in Suris, a village with a bar/restaurant, 4km from the popular leisure lakes of the . . .
A very stylish "Maison de Maitre" with 3 double bedrooms, a large fenced and walled garden, garage and 2nd house to renovate. The property is set in the middle of over 6000m2 of walled and fenced gardens, ideally . . . 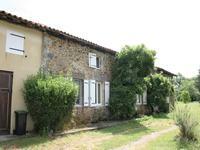 Ancient Iron Forge, steeped in history, with outbuildings including a small house to renovate. This is an amazing opportunity to become the owner of a true piece of French history; an . . .
Bar / Restaurant, licence & business, with 2 bedroom apartment, in a village centre, close to golf & lakes with beaches. Bar / Restaurant and 2 bedroom apartment. 30 minutes from a golf course and convenient for . . .